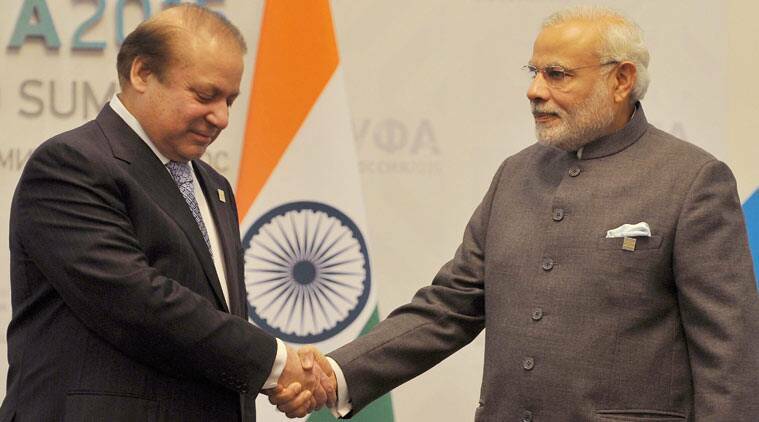 Whenever Indian and Pakistan leaders have shared a common platform, it has grabbed attention. So, it was without any surprise that the news that grabbed the spotlight during the SCO summit was the brief handshake between PM Narendra Modi and Pakistan President Mamnoon Hussain. Whenever Indian and Pakistan leaders have shared a common platform, it has grabbed attention, transcending the importance of the event they have attended. So, it was without any surprise that the news that grabbed the spotlight during the Shanghai Cooperation Organisation meeting was the brief handshake and exchange of pleasantries between Prime Minister Narendra Modi and Pakistan President Mamnoon Hussain. At a time when relations between India and Pakistan have touched rock bottom, a handshake between leaders of two rival nations has more meaning than just the literal sense of the term. When Prime Minister Narendra Modi decided to stop over in Lahore on his way back to New Delhi from Kabul in 2015 to meet then PM Nawaz Sharif, it raised hopes that the stop-and-start negotiations between the nuclear-armed neighbours might finally make progress after three wars and more than 65 years of hostility. * Sharif at Modi’s swearing-in ceremony (May 2014): Following the massive mandate in the 2014 elections, Modi had invited all the South Asian leaders to his swearing-in ceremony. 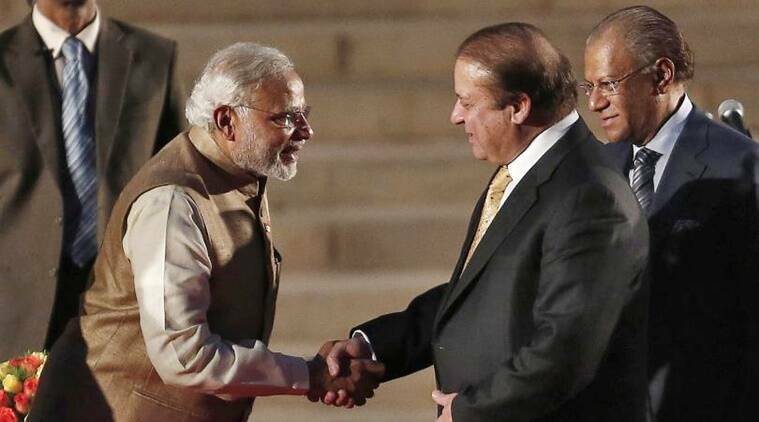 Then Pakistan PM Nawaz Sharif was the first to shake hands with the new PM – what was viewed as Modi’s first diplomatic coup even before taking office. The next day, the two leaders held a bilateral meeting at Hyderabad House and decided that their foreign secretaries would be in touch and discuss a way forward on talks that have been suspended since January 2013. In the meeting, Modi stressed that Pakistan must abide by its commitment to control terrorism from its soil against India and also raked up the slow pace of trial in the 26/11 Mumbai attacks. 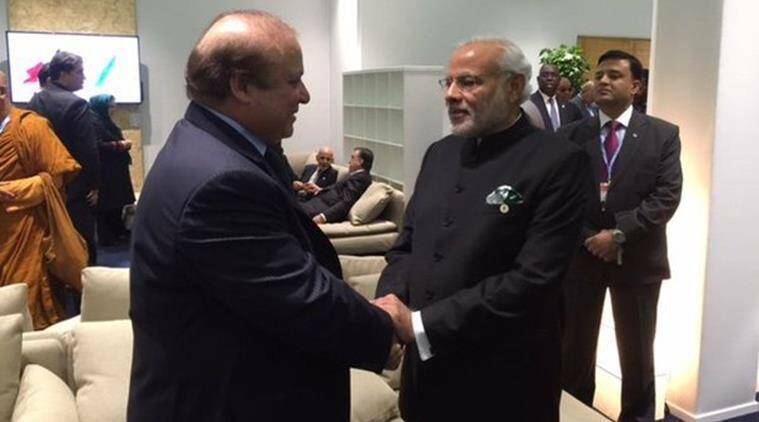 * Meeting at Ufa, Russia, on sidelines of SCO summit (July 2015): The meeting between Nawaz Sharif and Narendra Modi came after much heartburn between the two sides following Pakistan high commissioner to India’s invitation to Kashmiri separatists for consultations before the meeting of foreign secretaries. Following a brief handshake, the two leaders exchanged views on issues of bilateral and regional interest. The key takeaway of the talks was an agreement between the two sides to organise a meeting between the national security advisors of the two nations to “discuss all issues connected to terrorism”. Both sides agreed to discuss ways and means to expedite the Mumbai case trial, including additional information like providing voice samples. 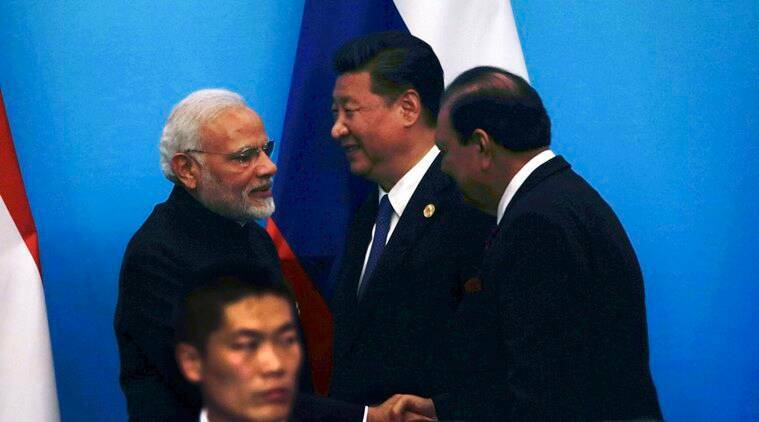 * ‘Pull-aside’ meeting in Paris: Four months after their meeting in Ufa, Modi, and Sharif met in Paris on the sidelines of the 21st UN Climate Change Conference, in what was seen as a “pull-aside meeting” between the two leaders. They were seen shaking hands and talking animatedly “for a few minutes” while sitting on a sofa — without aides and officials by their side. Though exact details of what the two leaders discussed were not revealed, Sharif said the talks took place in a “cordial atmosphere and cordial manner”. “If both sides want that issues should be taken forward, then it is not possible that these will not be taken forward,” Sharif said. He further asserted that Pakistan wanted to discuss and resolve issues that were political in nature. * Modi’s surprise stopover in Lahore (December 2015): Prime Minister Narendra Modi chose to accelerate the pace of engagement with Pakistan with a surprise visit to Lahore on his way back from Moscow and Kabul. The occasion was Nawaz Sharif’s birthday and the former PM welcomed his Indian counterpart with a warm hug at the airport – an image that will remain etched in the annals of history. 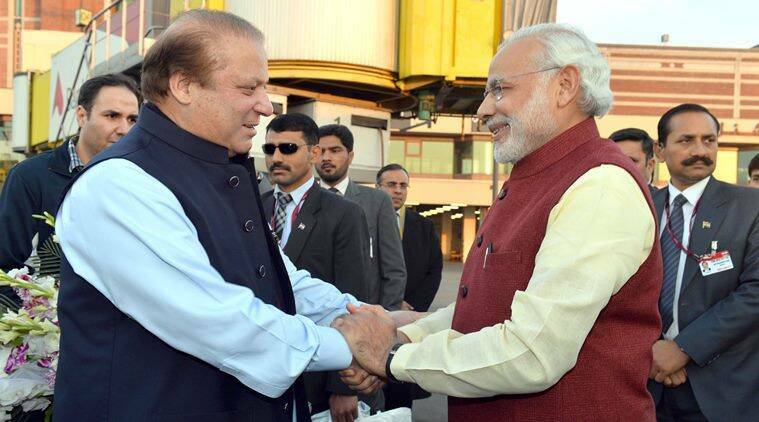 Modi’s Lahore visit was only the eighth in the last seven decades and the first in 11 years. The goodwill visit, which lasted for only 2 hours, also saw a brief meeting between the two PMs, who decided that as a part of the comprehensive dialogue, the foreign secretaries of the two countries would meet in mid-January next year. * Brief meeting in Astana (June 2017): Since the 2015 surprise stopover by Modi, much water had flown down the river and ties between the nations were on a freefall. The attack on the Pathankot Air Force Station and the Uri camp by Pakistan-based terrorists, followed by India’s surgical strikes on Pakistan terror camps, escalated tensions between the two countries. Amid the strain in ties, Modi and Sharif exchanged greetings and shook hands when they were in the leaders’ lounge for the reception at the Astana Opera organised to welcome the leaders participating in the Shanghai Cooperation Organisation (SCO) Summit. There were no official talks between the two leaders and PM Modi enquired about the health of Sharif, who had undergone an open-heart surgery in June last year.